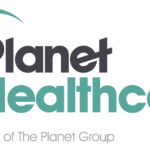 Who, where, why, what, how PLANET HEALTHCARE? Planet Healthcare was founded by a dedicated team of seasoned professionals with extensive experience supporting the healthcare industry. Our goal was to create an organization that strengthens the employer-employee bond by connecting clients and Travelers — ultimately making staffing more personal and creating enduring, valuable relationships. What should travelers know about PLANET HEALTHCARE? PlanetHealthcare prides itself on truly caring for its travelers. We understand the risks involved in choosing an agency and value every single traveler that chooses to work with us. This is not just a working relationship, but a partnership. As an agency who has a current employee serving in the Military, we are empathetic too and have a deep perspective of the stress people may face on assignment while away from family and friends. It is our job to remove as many of those stresses as possible, be supportive, and advocate for our travelers. It takes a network of people to make every assignment successful and that is our goal. What is the team culture like at PLANET HEALTHCARE? How does the leadership at PLANET HEALTHCARE define success for the employees as well as success for the travelers? This is a business so obviously, everyone involved is here to be successful., but at PlanetHealthcare we define success as building long term relationships where both travelers and recruiters can benefit. We focus on not just the placement of travelers but the long-term retention as well. We do this by offering top pay, benefits, and a true passion for making sure our travelers are happy and taken care of. What are the hopes for the PLANET HEALTHCARE/Wanderly partnership in 2019? How can we continue to best support each other? Things like this, podcasts, and any avenue that opens lines of communication between the traveler and agency are easily the most important things. That coupled with the how Wanderly allows the Traveler to hold the cards so to speak, and initiate the conversation, makes the entire process easier for both sides. What myths about the travel healthcare industry would PLANET HEALTHCARE want to correct for someone considering taking an assignment? There are agencies out there that truly care for their travelers. It’s simply a matter of talking to multiple agencies and choosing the one you mesh with. With how active agencies and travelers are on social media, it is easy to always see the negative. Buuuuuuuut, It is like Yelp. You don’t hear the 99 times someone had a meal and loved their experience, you only hear the 100th time when something went wrong. So short answer. We are not all bad. Talk to many agencies and choose one you like. There are tons of great ones out there. Secondly, with VMS/MSP in play at most facilities, Recruiters are not getting rich off of placing Travelers. An average Recruiter may make approximately $20 a week when a traveler works all their scheduled shifts. This coupled with an average base salary, Recruiters who stay in Healthcare do it because they love it not because of the money. What gives the team at PLANET HEALTHCARE the feeling of purpose in the day-to-day? We attempt to make a positive impact or help at least one person every day. Whether, its finally getting them a contract after that long exhausting search or pushing for those additional days off so they can make it to their daughter’s soccer tournament, we have done something right. We are human so mistakes will happen, and people will get upset. I truly believe if we can make a valid attempt to leave everyone with a positive experience, we can go home happy at the end of each day. What are the plans for the future of PLANET HEALTHCARE? What is planned for 2019? We will maintain our focus and strengthen already solid relationships in Ohio and the Chicagoland area. We have also established some great relationships and pushed our focus into the southeastern states and hope to gain traction in the compact states as well. We would also like to start a weekly video series and establish a blog that focuses on the funny and lighter side of healthcare traveling. What else would you like to share? Handles, pages, groups, etc. Like Planet Healthcare on Facebook.